Construction of the first ship is expected to start by early 2017 with handover to the Indian Navy by 2023. The project scope includes 7 P-17A frigates, each equipped with two MAN 12V28/33D STC engines. The building yards are Mazagon Dock Shipbuilders Ltd. (Mumbai, India) with 4 vessels and Garden Reach Shipbuilders & Engineers (Kolkata, India) with 3 vessels. MAN Diesel & Turbo will deliver engines and auxiliaries, commissioning, documentation, training and spare parts. The 28/33D STC represents MAN cutting-edge technology. Featuring robust and reliable engineering with long overhaul intervals and a maintenance-friendly design, the 28/33D STC also feature a competitive specific fuel oil consumption. Having the possibility to carry out all maintenance work up to major overhaul without removing the engine from the vessel further widens the operational window of the vessel and reduces maintenance efforts to a minimum. The vessels itself will generally be equipped with state-of the-art technology in order to provide a major advantage to the Indian Navy in terms of anti-submarine warfare capabilities. 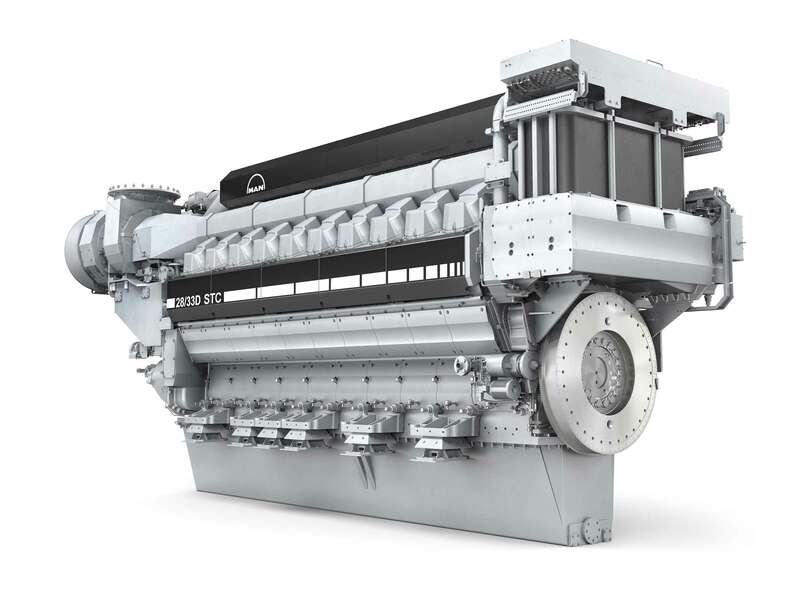 The Indian Navy is one of MAN´s long-term customers and is operating a remarkable number of engines on different vessels like submarines, fleet tankers and also frigates in its fleet, which all are being serviced by MAN Primeserv. The project evolved from the “Make in India” initiative of the Indian Government. As MAN has already produced other engine types in its Aurangabad factory in India for over 25 years, it had the setup ready for localization of its most advanced naval engine. By contributing to the plans of the Indian Government, MAN has once more shown its commitment to one of its most valued long-term customers.